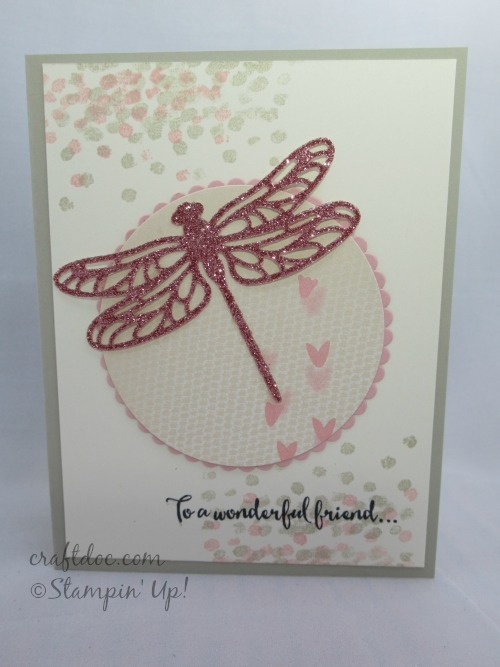 Here are a couple more cards I have made with the Dragonfly Dreams bundle. 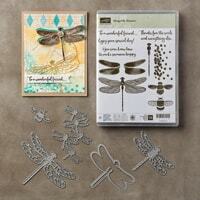 I am so happy that it will carry over to the new catalog, BUT it will not be at the bundled savings as it is now. 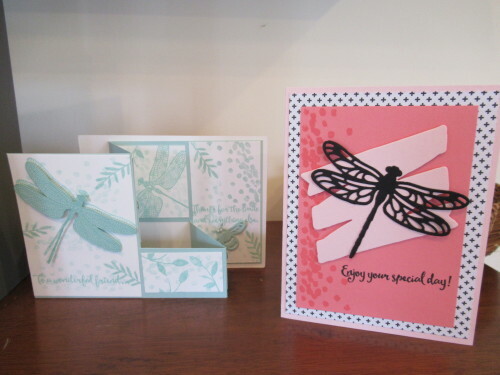 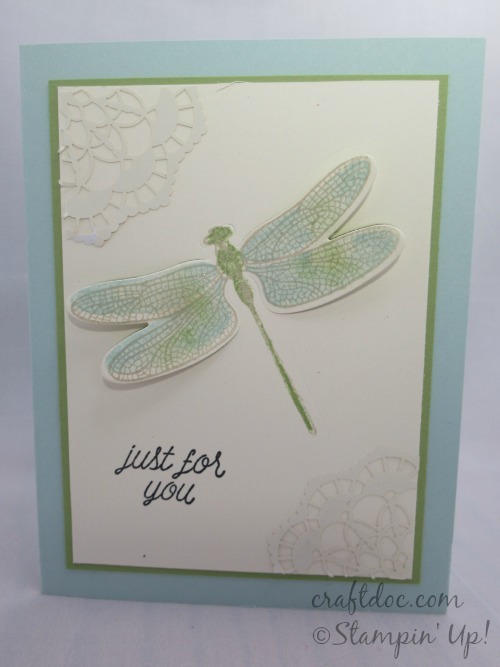 -For the second card, I used a special Sizzix plate that has a gap so that the center of the dragonfly was not cut. You can achieve the same effect by partially running through your carstock from each side. 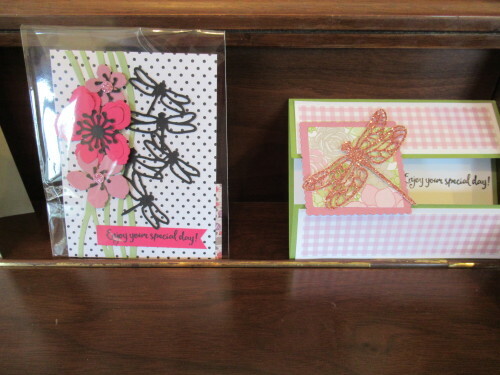 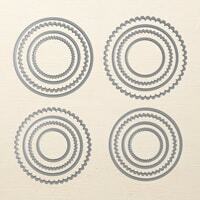 Or by making stacked chipboard “plates” for each side. 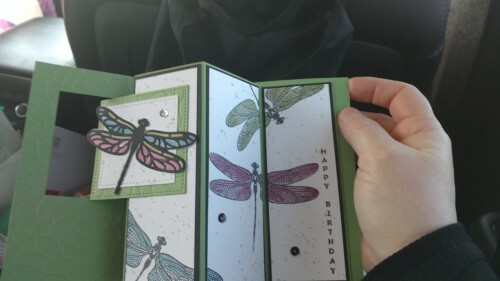 -I colored the dragonfly by sponging ink on the wings. 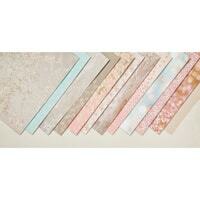 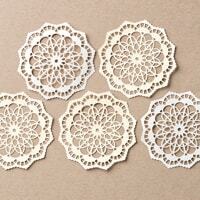 -The Blushing Bride Glimmer Paper and Lace Doilies are retiring, and on sale while supplies last. 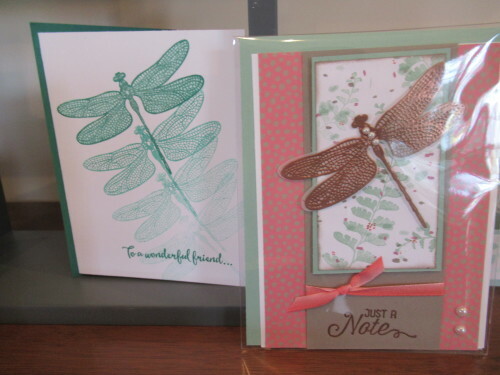 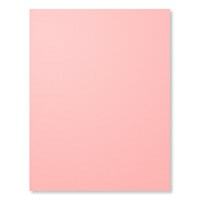 The Falling in Love Designer Paper used in the first card is sadly already sold out. 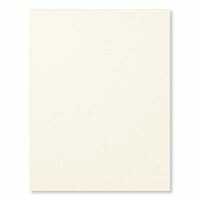 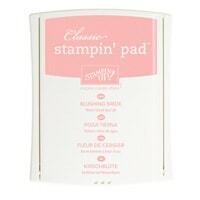 I am giving away samplers of this paper for online order this month at my shop. 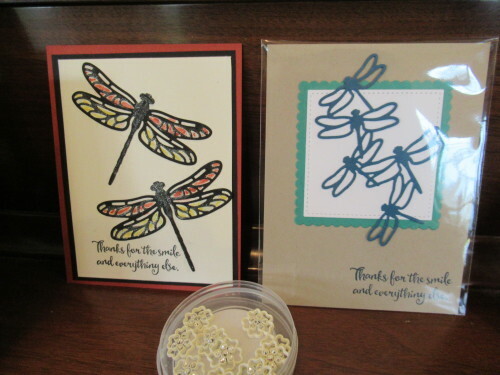 Here are a few swaps I received at #onstage2017 Richmond using the Dragonfly Dreams bundle. 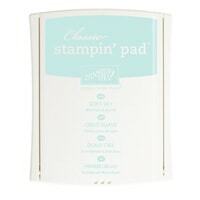 Click on the images to see details on each product below.